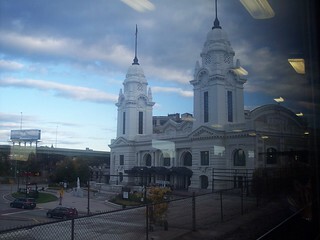 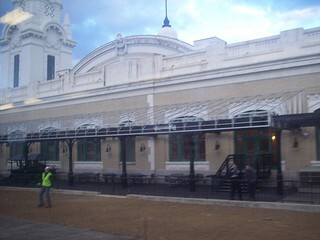 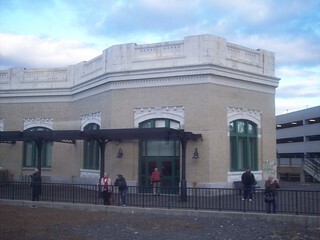 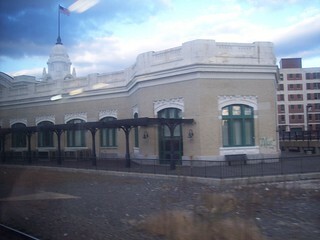 Worcester has a nicely restored old station. 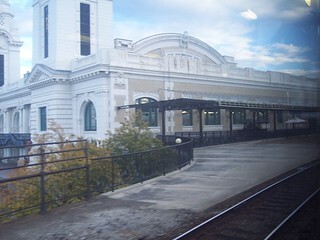 We began our journey on the Lake Shore Limited here. 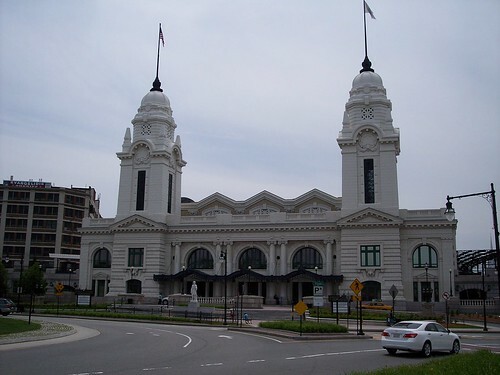 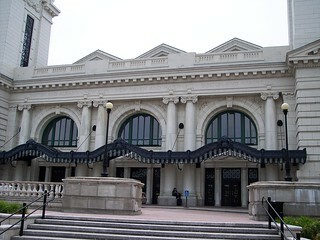 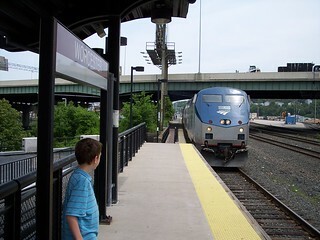 Taking a closer look at the station we see the three former railroads that served the station listed, Boston and Albany, New York New Haven and Hartford, and Boston and Maine. 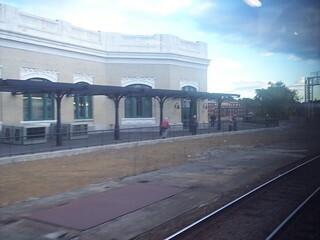 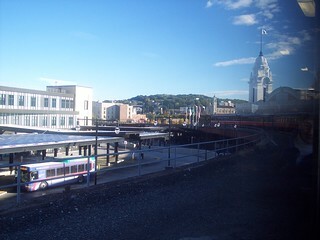 On the platform side of the station we look toward Springfield and Albany. 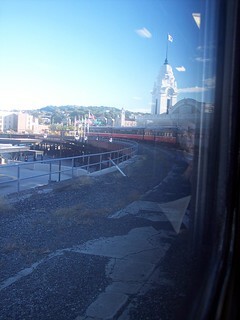 Looking toward Boston as our train, the Lake Shore Limited, arrives. 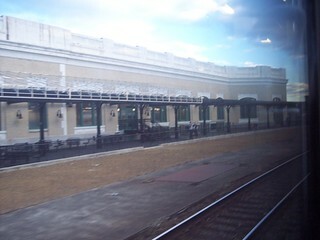 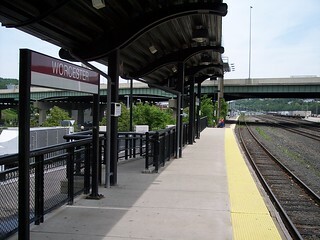 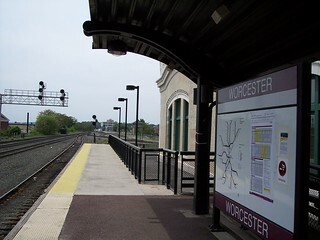 A look at the rarely-used side platforms from an excursion on the Providence & Worcester Railroad. 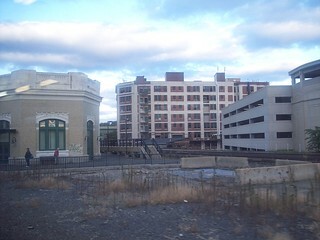 The stairwells from below are still visible though now covered. 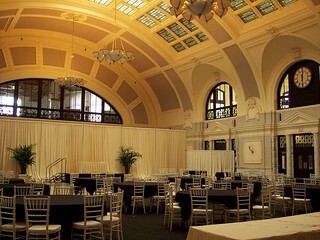 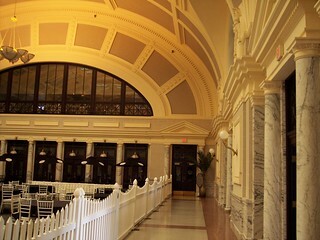 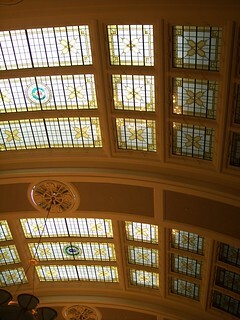 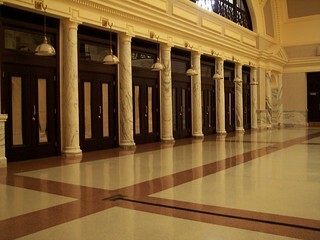 The station interior has been beautifully restored, with a large stained glass skylight. 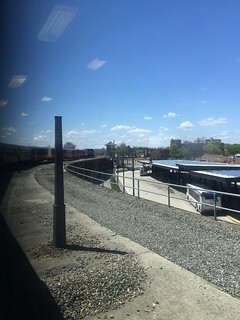 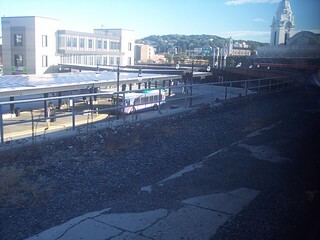 The old platform on the west side of the station still has what may have been lightposts.